Making steel is something that we do every day at ArcelorMittal. But going the extra step and customising our offer to your needs is the challenge that we look forward to solving. Whatever your project is, we are here to help you get the most out of our steels. Talk to us–it couldn’t be easier. MMS Modüler uses ArcelorMittal’s coated steels because they look good and there are lots of colour options. Next to that it’s an easy material to work with and doesn’t need a lot of manpower. Valente’s Tekno Evo range of support structures for agriculture is revolutionising the grape growing industry in Italy. The unique poles and support mechanisms all make use of Magnelis® to provide long-term maintenance-free support for vines. 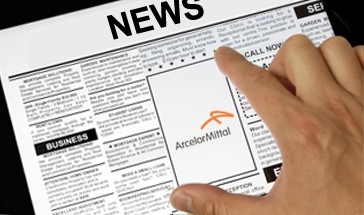 ArcelorMittal launched a new packaging module as part of its market-leading app – Steel Advisor for Industry. The module was launched during Metpack, the triennial tradeshow dedicated to metal packaging which is held in Essen (Germany). When ADGAS wanted to renew the jacketing of their gas installation on Das Island in the Persian Gulf, there was only one obvious choice – Aluminized Type 2 (T2) from ArcelorMittal. Instead of catalogues and virtual presentations, Prima Power has built a huge showroom in Italy where customers can see the machines in action using ArcelorMittal’s innovative steel and coatings. A new S-in motion® study from ArcelorMittal has identified potential weight savings of up to 25 percent on the body-in-white of European D-segment vehicles compared to recent models.